Susheel K. Kodali, MD is the co-director of the Structual Heart & Valve Center at NewYork-Presbyterian/ Columbia University Medical Center. 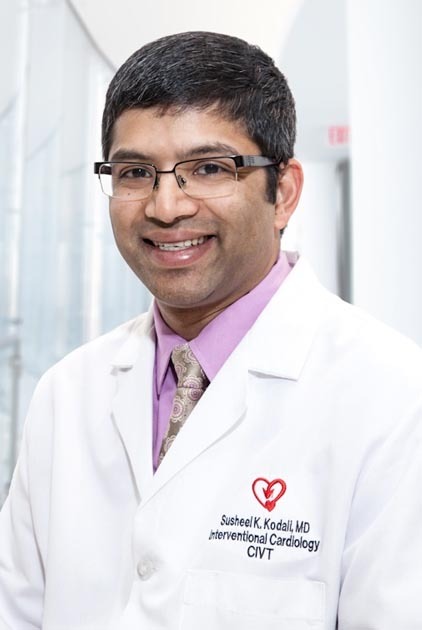 Dr. Kodali is also the director of the interventional cardiology fellowship program and an assistant professor in medicine at CUMC. Dr. Kodali was named New York Metro Area’s Top Doctor in 2012 and 2015 by Castle Connolly's Top Doctors™ and New York Magazine’s Top Doctors in 2012 and 2015. Dr. Kodali serves as the institutional co-investigator of the PARTNER trials and associated registries and is a member of the PARTNER trial steering committee.